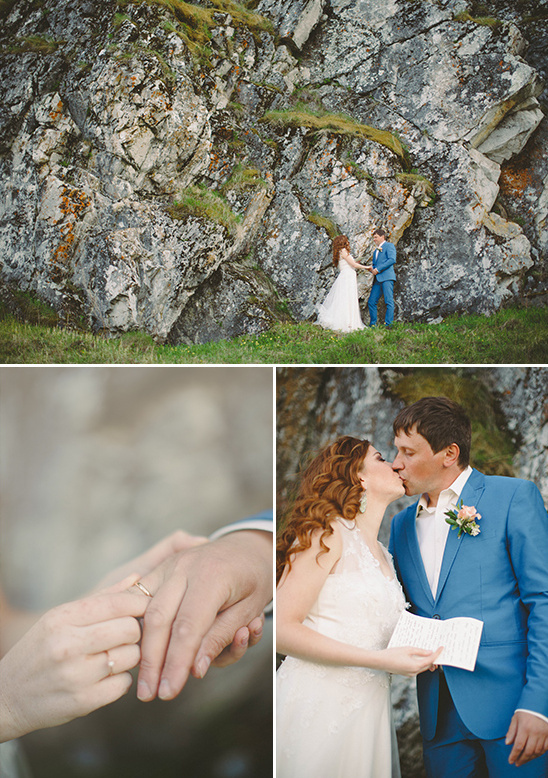 This next inspirational shoot is a dreamy affair that combines the rugged Russian wilderness with elegant details. From the brides custom wedding dress (she designed it herself!) 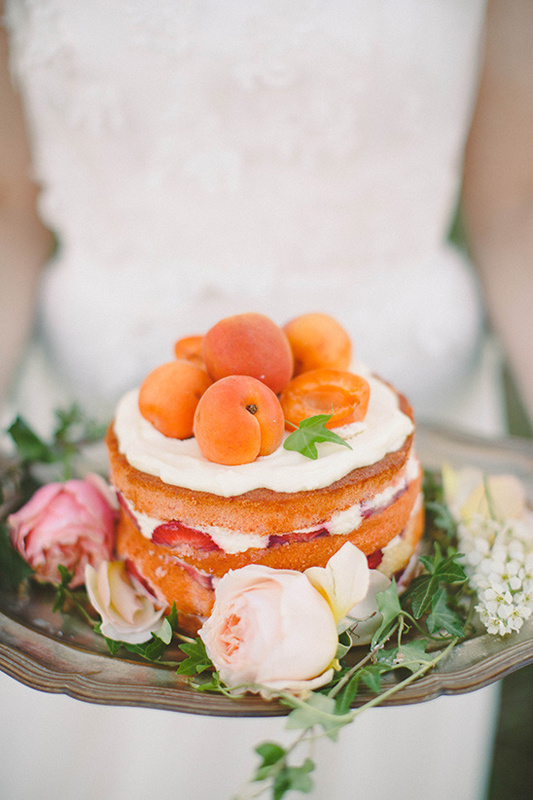 to the gorgeous apricot adorned naked wedding cake. 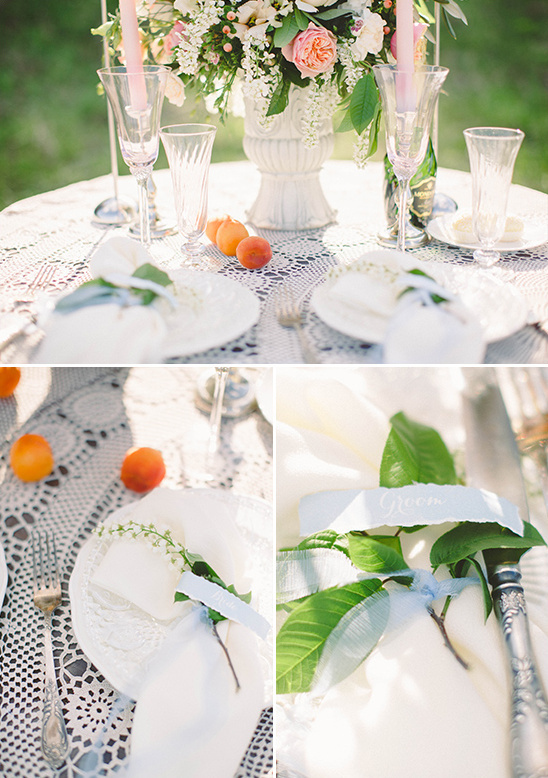 All of these lovely details make for a most memorable photo shoot. Yes! 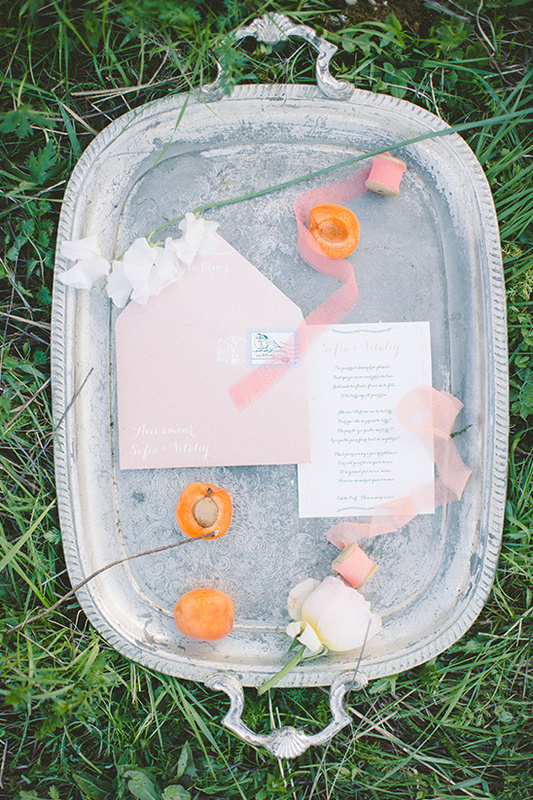 We have more to show you of this sweet love wedding inspiration! 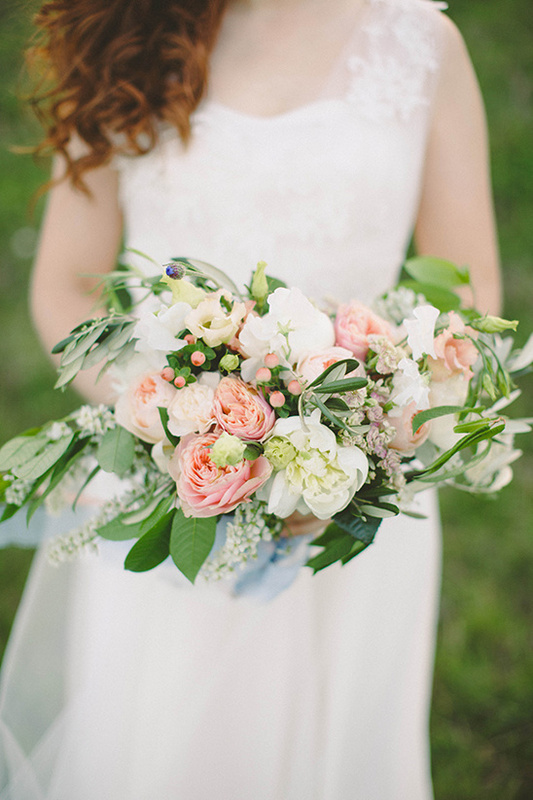 Check out the full gallery here for more breathtaking inspiration! 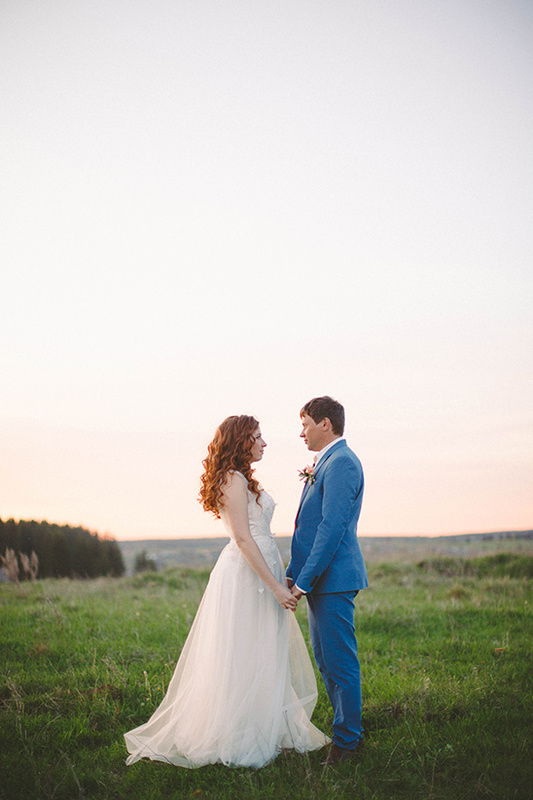 Captured by Bryukhanova Anastasia. In Russia, the Ural region is famous for it's beautiful sun kissed mountains. 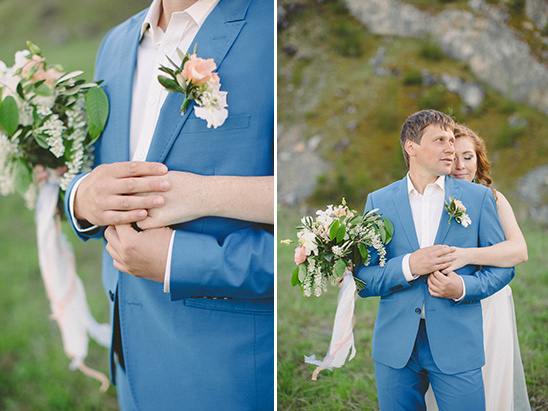 All the feelings of love were present which gave us the idea to have a photo shoot on a different day than the wedding. 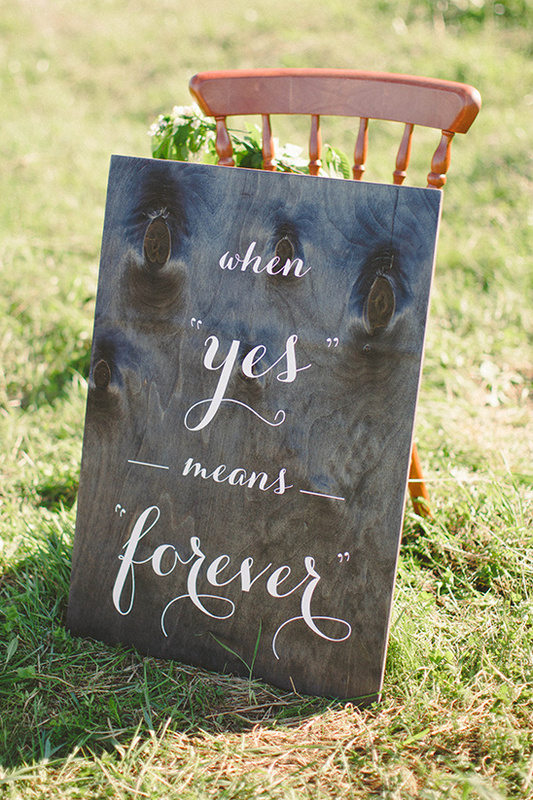 These two love birds wanted to share their vows with one another and exchange their rings in an intimate, private setting. 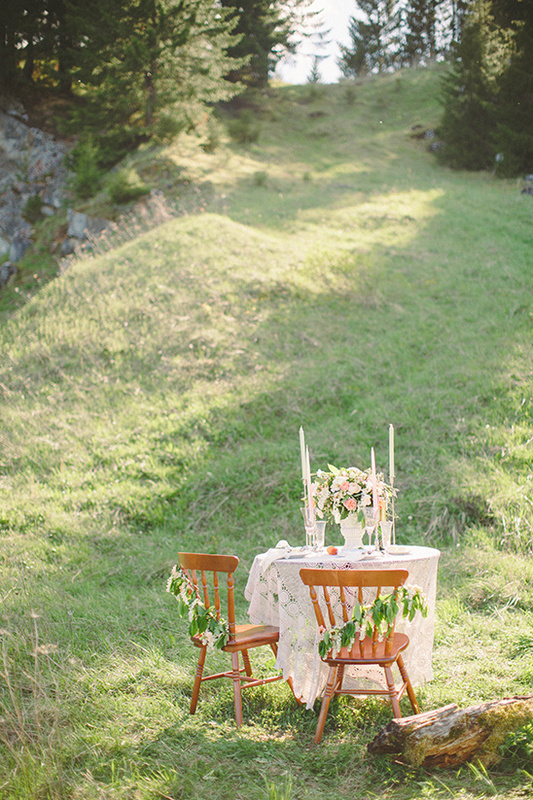 Afterwards, they celebrated the romantic occasion with a festive dinner for two. 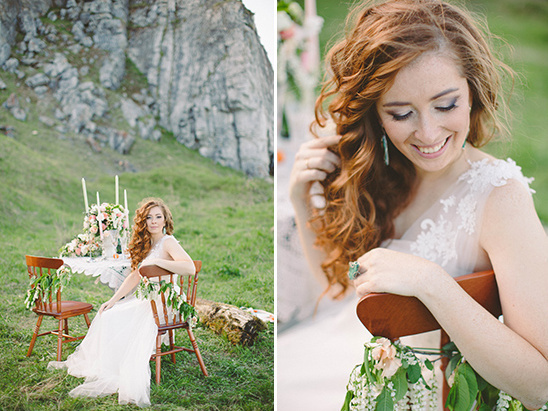 The brides wedding dress was made for the bride from her own sketch and was a very sentimental part of the shoot. For her jewelry the bride chose earrings with malachite, which is a mineral found throughout the Urals. 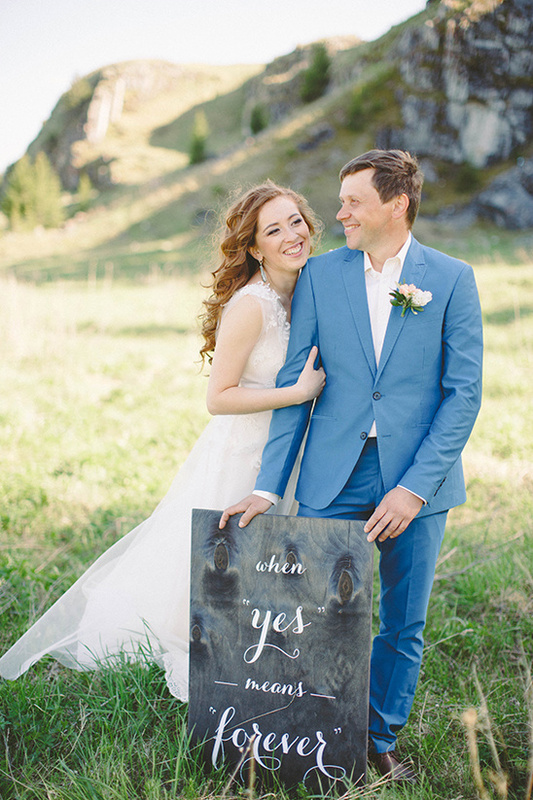 At the foot of the mountain, these two lovers shared the most important words, their words of love for one another.